PARLIAMENT – Parliament’s Committee on Commissions, Statutory Authority and State Enterprises (COSASE) on Thursday resolved to investigate the former director of commercial banks supervision, Ms Justine Bagyenda, and Bank of Uganda (BoU) Deputy Governor Louis Kasekende for the alleged illicit accumulation of wealth. 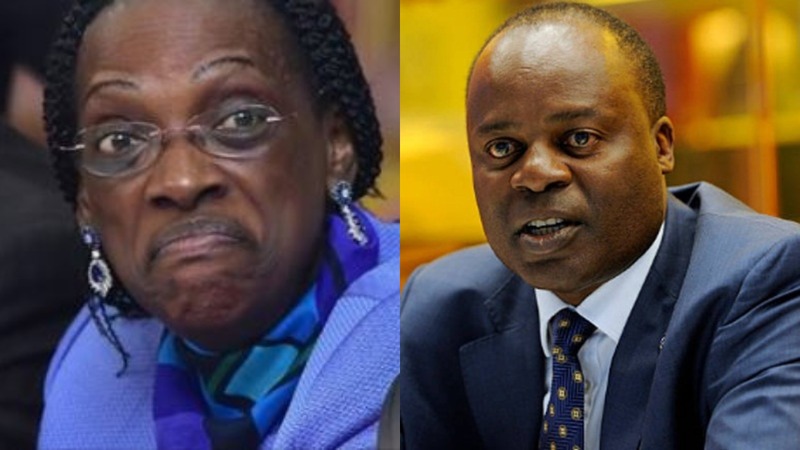 The MPs, who are investigating the controversial of seven commercial banks, including Crane Bank, resolved to investigate the two senior officials after Aruu South County MP Odonga Otto and Kasilo County MP Elijah Okupa presented before the committee what they said are titles of questionable properties owned by Dr Kasekende and Ms Bagyenda. “What is of interest to me is the transfer of $1.m to Mrs Edith Kasekende’s account by China Railway Group. China Railway Group is the company that constructed the BoU currency centre. The committee should pick interest,”Mr Otto said. In the end, MPs set up a sub-committee chaired by Bukedea Woman MP Anita Among, UPDF MP Brig Francis Takirwa and Kiruhura Woman MP Sheila Mwine to investigate the titles and present a report on Tuesday next week to guide on the way forward.